Menus from the Tasting Café at La Fromagerie Marylebone W1. Open for Breakfast, Lunch & Afternoon Tea. We have a daily changing Kitchen Menu featuring cheese boards, pairing wines & the produce sold in the shop. 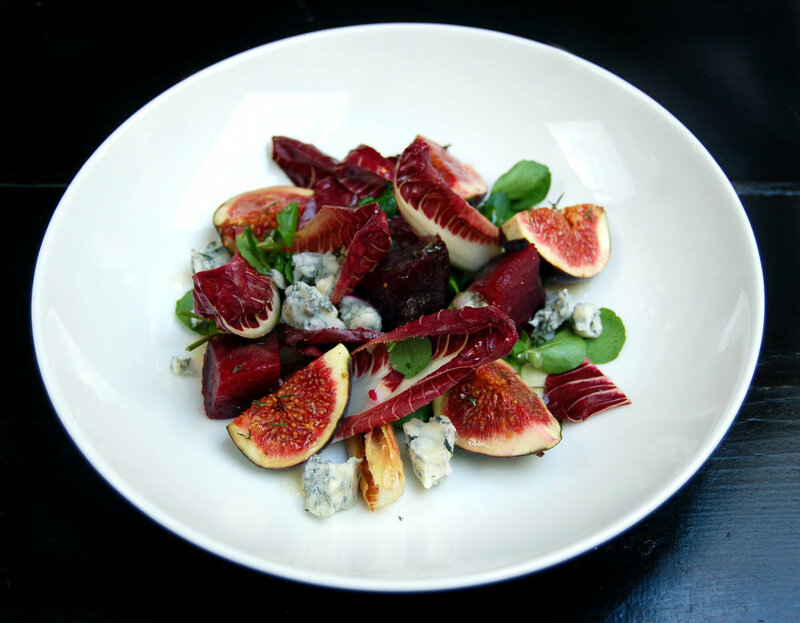 The café at La Fromagerie Marylebone offers a daily changing menu featuring the produce sold in the shop. Our café open every day from the time our shop opens; the breakfast menu is available until 11.45am and hot food is served until 4pm. Our last seating is 45 minutes prior to the shop's closing time. We do not take reservations in the café, although for parties of 8 or more, we can sometimes arrange a space for you at our large table Mondays through Fridays (please call us on 020 7935 0341 for availability). Due to the busy nature of the shop & café at weekends we are not able to accommodate any reservations on Saturdays or Sundays. On Friday evenings the café stays open later than the shop with small plates and Cheese & Wine tastings. We do accept and recommend reservations for these evenings - please call on 020 7935 0341 to book. On the first Monday of every month, we also host a Supper Club featuring the most seasonal produce available in our shops. Please click here to see upcoming menus and book. Served each day until noon. Last orders 11:45 AM. Served from 10:00 AM to 4:00 PM. Inspired by the shop which is essentially his kitchen larder, La Fromagerie Head Chef Alessandro chooses 3 ingredients that he showcases throughout the month on his menus & at his Supper Club. The menu may feature either a sharing dish, such as a pie, or a fish or meat dish alongside seasonal produce, of course including cheese & a seasonal dessert. View upcoming menus and purchase tickets here. Start your weekend with a decadent edge. Fondue Savoyarde or seasonal cheese boards paired with wines by the glass – we are sometimes tempted to open a bottle of something a bit special – alongside a selection of tasting plates, all perfect to share; house-cured salmon, oysters, game terrine & charcuterie, not forgetting our signature Savoie toasted cheese with pickles. For the sweet tooth, Armagnac soaked prunes & Affogato with Le Piantagioni espresso & fior di latte ice cream, or squares of Original Beans Chocolate with homemade Vin d'Orange.